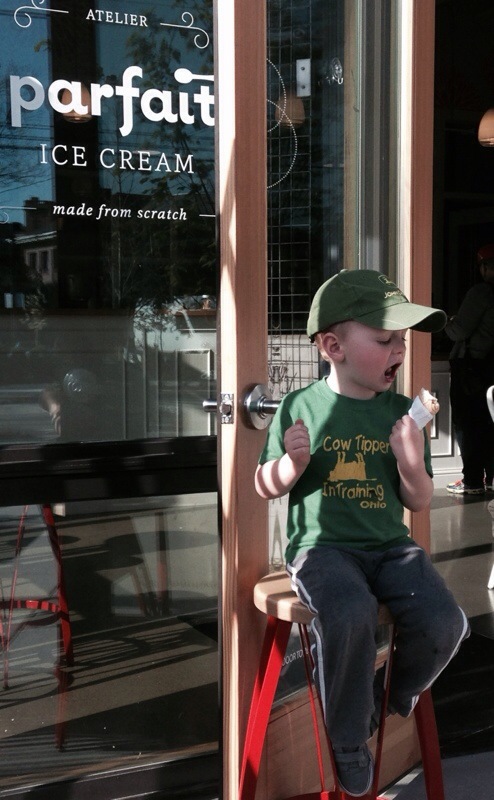 Calvin enjoys a scoop from a new Ballard ice cream shop. Calvin gets a new shade of blue. 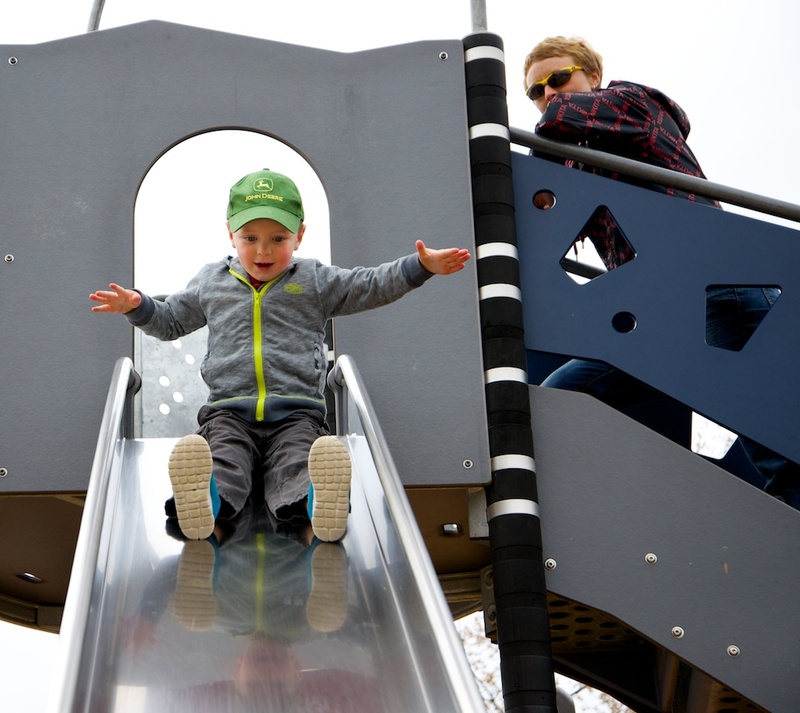 Enjoying the “big” slide at the Adam Elementary playground.